Rosa’s expertise lies in the field of sustainable lifestyles and consumption. She explores ways to achieve behaviour change and social innovation, as well as the realisation of ICT-potential to support sustainable living. Rosa joined the CSCP in 2009 as a project manager. She is currently managing the INHERIT project on policy innovation for sustainable and healthy lifestyles for the European Commission, the ILoNa project on analysing the interaction between sustainable lifestyles and logistics for the Federal Ministry of Education and Research, and is supporting the Academy of Change project (funded by the KR Foundation), that seeks to empower NGOs to use behaviour change insights in their campaigning activities . In addition, she managed the EU-projects SPREAD Sustainable Lifestyles 2050, Catalyst and greenXpo, developed the website “Ich bin’s – nachhaltig in NRW” and supported the development of the Pro Planet Sustainability label for the REWE Group. 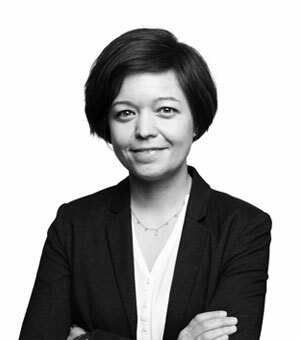 Rosa holds an MSc in Environmental Policy and Regulation from the London School of Economics and Political Science (LSE) and an MA in policy, international law and history from the University of Bonn. She has taken training courses in social psychology, behavioural economics, gamification and design thinking. Rosa is currently member of two advisory boards, of the H2020 projects Asset and SMART-Map. Rosa is a German national.